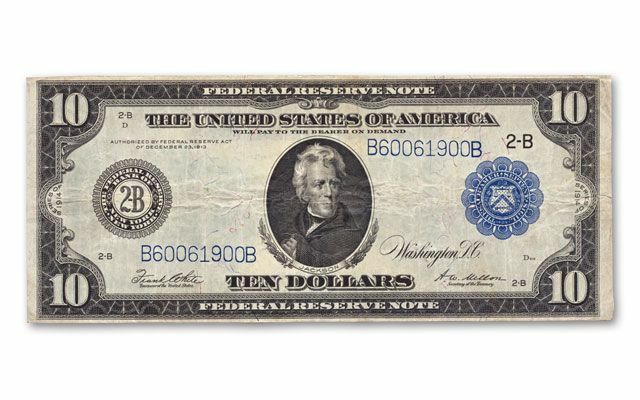 First Federal Reserve $10 Note was Heavy Duty - It's Big! 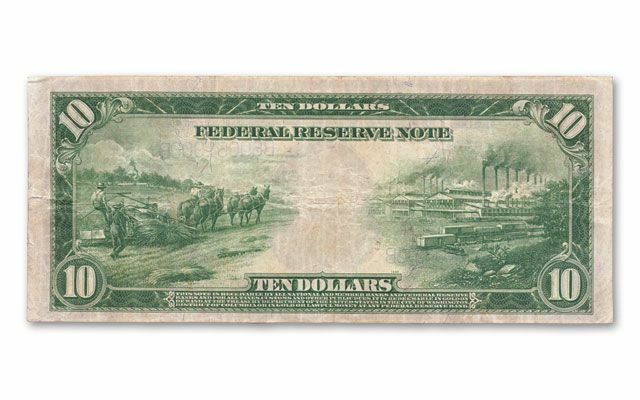 Make sure to own the only large-sized "horse blanket" Federal Reserve $10 notes ever printed. Each comes in or About Uncirculated (AU) condition in a vinyl sleeve with a certificate of authenticity. 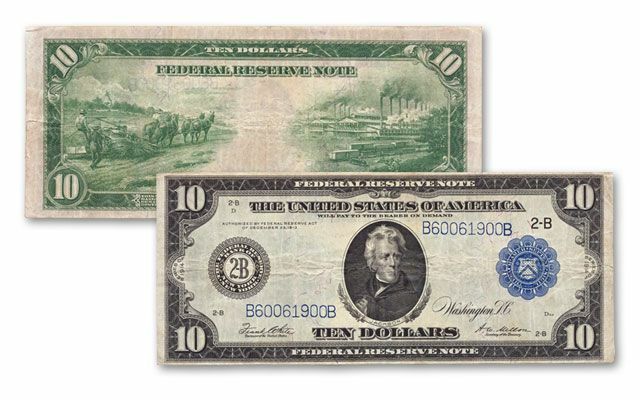 They're known as Horseblanket Notes because they are quite a bit larger than the ones we carry today. See for yourself, order now!